It hits my life again. That inevitable desire to connect my circumstances with the actions of another and search for blame. It’s like an ugly cord woven through the heart of humanity. It’s part of our DNA. While we praise the kindness of mankind that swells in the flood of our national disaster, the undercurrent of who’s to blame swirls. It’s in the spotlight of a hurricane, but always present in our nature. I saw it today in myself. I pushed the weight of my being offended onto the failure of another. When affront is claimed blame is dished out, even when it’s against nature itself. Offense and blame are brothers. Moses was just following instructions. He did what God asked, and bam, he got blamed… “you have made us abhorrent in the sight of Pharaoh…’” they told him. (Ex. 5:21; NJKV). Joseph’s brother Reuben wanted to come out smelling clean in the sheep field. Didn’t I tell you not to hurt that boy, but you wouldn’t listen? “…Therefore this distress has come upon us.” (Gen. 42:21; NKJV). Hey, it’s not my fault, it’s all yours. I was only pretending I wanted him dead. Job’s wife, in the deepest grief of her soul poured out the cup of blame and bitterness on her husband who was also trying to grapple with the tragedy of losing all his children and livelihood. ”Curse God and die,” she said. Unless we acknowledge events of our lives under the power of a Blessed Controller of All things, it’s just hard to see past the flood of emotions circumstances bring. It’s difficult to look past legitimate mistakes, let alone irresponsibility or cruelty and not want to throttle someone. Confusion and chaos birth when Scriptural definitions morph to fit our experience and sense of justice. Blame hits the fan when God is denied. All the blame in the world will not bring people back from the dead, restore a home, heal a life or mend a marriage. And it will never make a broken heart whole again. Blame is inescapable in the absence of Sovereignty. But, as followers of Jesus, we are called out of the blame game cycle. We are asked to be different than the status quo of natural inclination. And we are again led to the cross where Christ yielded His rights for the sake of our souls. 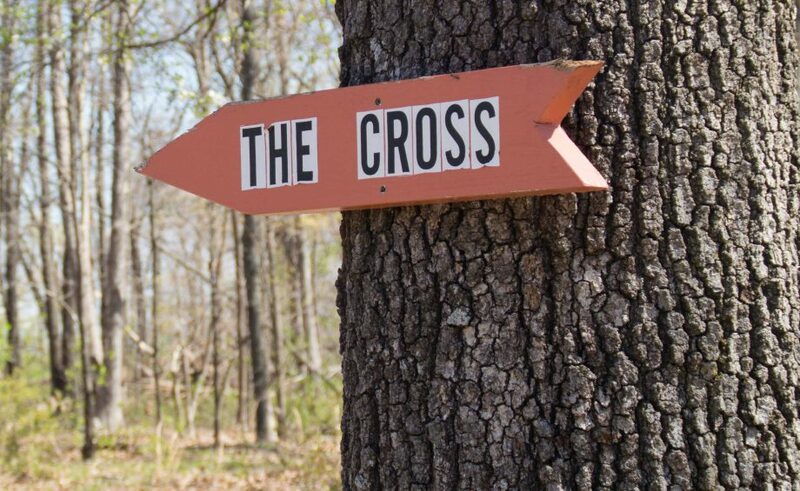 At the intersection of the cross, we are reminded. He took the blame.